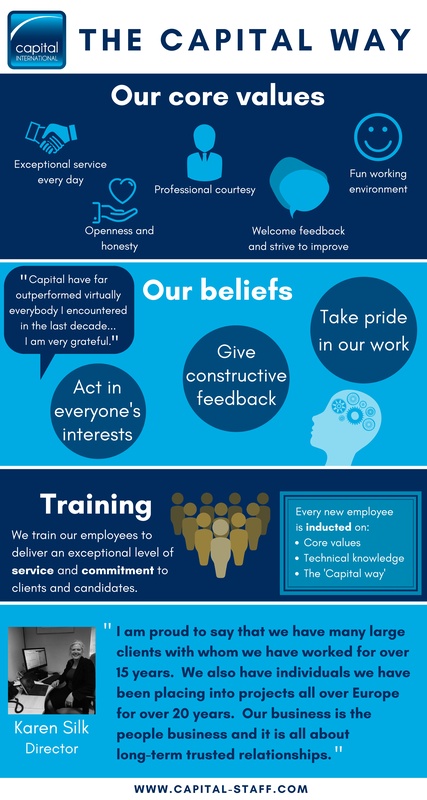 We pride ourselves on our client relationships, and want to make sure you know all about Capital’s core values. The company values have always been at the heart of the business, it is the ethos against which we drive everything we do. Capital’s commitment to this ethos is what makes us one of the very best at what we do. We hope it is clear that Capital is more than just a business. We aim to build relationships, not only with our clients but between client and candidate. We put significant importance on a positive work culture, continuously seeking to grow and improve whilst empowering our team to treat problems as learning opportunities. Do you have any vacancies you wish to fill?